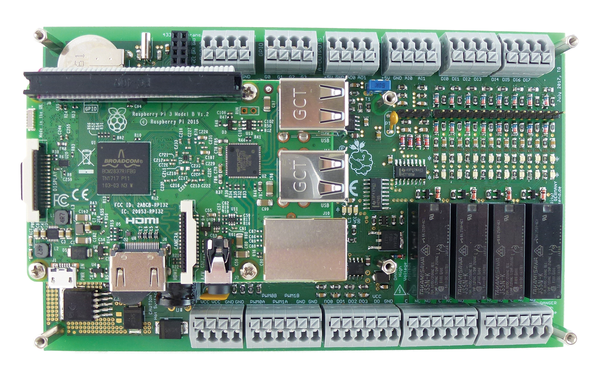 The PiXtend board  opens numerous possibilities for the Raspberry Pi and provides additional flexibility, not only by the hardware, which meets industry standards, but also because of its support for professional software. Recently, the new PiXtend version 2.0  was released (Figure 1). Figure 1: A PiXtend V2 with an assembled Raspberry Pi 3. Manufacturer Qube Solutions provides the new board in three forms: as a plain vanilla extension board and as the ePLC Basic and the ePLC Pro. The last two alternatives include a Raspberry Pi 3 (RPi3) and a pre-installed operating system tailored to the respective application.